On Saturday, September 6th, at 8:00pm, we will be presenting what promises to be a truly lovely concert in Dornoch Cathedral. The Scottish Ensemble's annual Highlands & Islands Tour is always popular with both players and audiences, and this year's programme of music provides a real musical treat. Two gems from the classical repertoire, Bach's Double Violin Concerto and Mendelssohn's String Symphony No 9 in C minor partner David Horne's Double Violin Concerto and Shostakovich's Two Pieces for String Octet. Taking its inspiration from Bach's Double Violin Concerto, David Horne's explosive Double Violin Concerto, originally commissioned by the Scottish Ensemble, will be performed by Artistic Director, Jonathan Morton and long-time Ensemble member, Cheryl Crockett. The Scottish Ensemble will perform this programme again on Sunday at Strathpeffer. The big difference is that in Dornoch you can attend FREE! That is not because NHC is rolling in money: it is simply because the Cathedral is not licensed to charge for admission! We will earnestly solicit your donations to help us meet the costs. For those for whom Dornoch is a little distant, the programme will be repeated on Sunday, 14th September, at 6:00pm, in St Anne's Catholic Church, Sweyn Road, Thurso. Both concerts are admission Free. Donations are warmly invited. For those who 'enjoy something different' I am glad to mention that In November, as part of our partnership with the Royal Scottish Academy of Music & Drama, we expect to present a Scottish Traditional Music residency which will include public performances in three different venues in our NHC region. Leading performers in this field, Josh Dickinson and Phil Cunningham are expected to lead these events. Fourth Annual Residency of The Prince's Drawing School at North Lands Creative Glass Centre, Lybster 8th - 15th July, 2013 Invitation to local artists to participate on Saturday, 13th July from 10:00am Childrens workshop Friday 12th July at 10:00am Artists are invited to bring materials and to join the students under the direction of their distinguished teachers. There will be an exhibition of work produced during the residency. North Highland Connections Concert of music composed by young composers taking part in the second annual Creative Music Week, 8th - 13th July. The concert will include works by the resident tutors, David Horne and Stuart MacRae, performed by a chamber ensemble drawn from the National Youth Orchestras of Scotland, directed by Nicholas Cleobury. The busy and varied events programme of North Highland Connections continues in July, with two residential activities which include opportunity for local involvement. The second Creative Music Week for young composers will take place at Ham House, Caithness, from 8th to 14th July. Following the brilliant performance by world-class clarinettist, Michael Collins, in Thurso on 1st June, North Highland Connections is following it with another concert in its Young Artistes series, featuring up and coming young professionals. The concert, on 15th June, will be in the Drawing Room at Dunrobin Castle. Monday, 8 July to Monday, 15 July Prince's Drawing School Annual Residency July 8th to 15th at the North Lands Creative Glass, Lybster The Prince's Drawing School Annual Residency The programme will include master classes for local artists, and daily activities for children. Public exhibition of work produced during the week. Saturday 15th June - 7.30pm Dunrobin Castle, Sutherland North Highland Connections presents - The Sutherland Duo; Harriet Mackenzie (violin) & Christina Lawrie (piano) Winners of the 2010-12 Enterprise Music Scotland Award 2010 - 2012, the Sutherland Duo are an eclectic and energetic duo. Their repertoire spans more than 300 years of western classical music, ranging from the elegance of the French Baroque, the searing emotional intensity of Brahms, and the wild gypsy rhythms of Sarasate, to the exciting music of our times. North Highland Connections announces a concert to be given in the West Church, Thurso, on Saturday, 1st June, by one of the world's leading clarinet virtuosi, Michael Collins. He will be accompanied by the pianist, Michael McHale. 16 November, 2012 at St Duthus Collegiate Church, Tain at 7:30pm To book, call 0752 107 7053 "Eight Songs will blow you away." - Sunday HeraldHebrides Ensemble are bringing a rare production of Sir Peter Maxwell Davies' 1969 music-theatre masterpiece to Tain! This extraordinary piece, which hasn't been performed in Scotland for almost ten years, is regarded as one of the composer's seminal works. It's an extravagant, disturbing and occasionally very funny depiction of the madness of King George III. At short notice North Highland Connections has an opportunity to promote a concert by three performers from the Awards for Young Musicians Trust. They will give a concert in the splendid Village Hall at Mey (opposite the castle), in Caithness, on Sunday, 28th October, at 7:30pm. 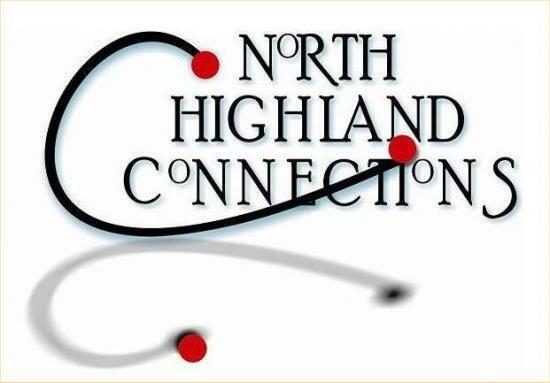 North Highland Connections is presenting another of its events in the inspiring setting of the historic St Duthus Collegiate Church in Tain, Ross-shire. The concert, by the Canadian group 'Tiller's Folly', will take place on Tuesday, 31st July, at 7:30pm.